Nina MacMillan stands at the front door of Greens Farms Elementary School every day. Rain or shine, snow or sleet, she greets every child with a smile and a friendly hello. Nina has suffered through bouts of bronchitis without complaining. She is there for early morning orchestra, chorus, band and gym. She never scolds kids when they’re late. She starts their school day with kindness, friendship, and a sense that they are welcome and eagerly awaited. To have our kids receive such warmth each and every day is truly a gift for which we are grateful. If you have a pet — and who doesn’t? * — chances are you’ve met Melissa Shapiro. The veterinarian owns Visiting Vet Service. For almost 25 years, she has provided in-home care for dogs and cats. Melissa is devoted to rescue dogs — especially those with special needs. Two years ago Melissa rescued Piglet, his mother and 3 litter mates from a hoarding situation in Georgia. 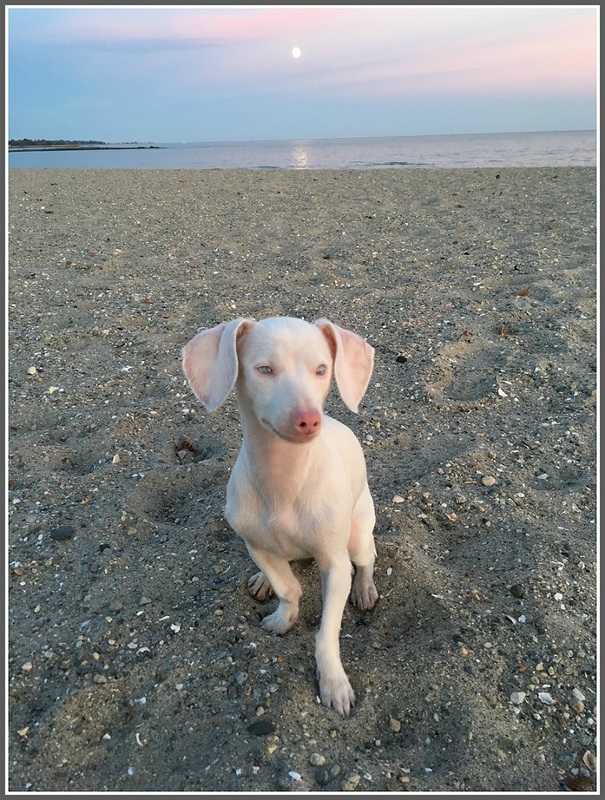 Piglet — a dachshund/Chihuahua mix — is deaf and blind. Melissa planned on fostering him with help and support. Two months later, her foster home became his permanent one. Melissa’s patience, love and dedication has helped Piglet thrive. He loves to run and play in the yard, take walks in the neighborhood on his harness and leash, and snuggle with people and other dogs. This Sunday (March 31, 4 p.m.), Melissa brings Piglet and his message to the Westport Weston Family YMCA. The program is free, and appropriate for children 7 and up. In December 2017, “06880” profiled Piglet. Today his rescuer, savior — and friend — Dr. Melissa Shapiro gets her props. 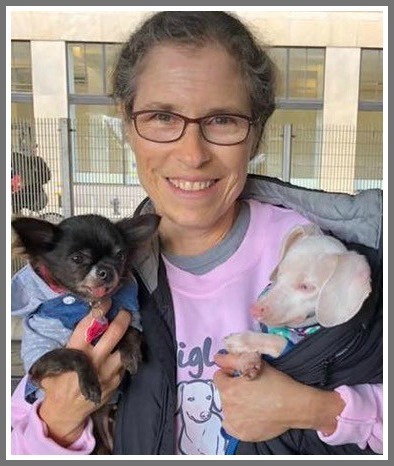 For all she does for Piglet, for all the other dogs and cats in town — and the nation, as Connecticut representative for the national Humane Society Veterinary Medical Association — Melissa is our Unsung Hero of the Week. Dr. Melissa Shapiro, with Piglet and friend. We take our firefighters for granted. No matter what they do — first responders to medical calls, helping out in weather emergencies, or actually putting out fires — we are grateful. The number of folks who take the time to thank the Westport Fire Department after an encounter is waaaay too small. The other night though, Platoon 3 responded to a call at Christ & Holy Trinity Church. They contained what could have been a major blaze to just a small area near the altar. Westport Fire Department Platoon 3. After they left — cleaning up, as usual, in their very professional way — Annie Fasnella wrote the following poem. 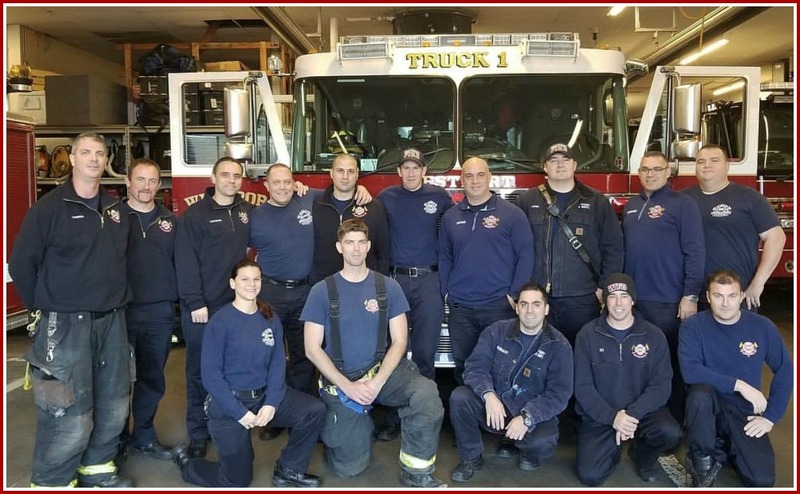 That’s why Platoon 3 — and the entire Westport Fire Department — are this week’s Unsung Heroes. at Christ and Holy Trinity. and below freezing Winter’s chill. It’s your time to take a bow. Just over a year ago, as winds howled, a large tree branch fell on Victoria Gouletas. She broke her back, and fractured bones in her neck, scapula and sternum. 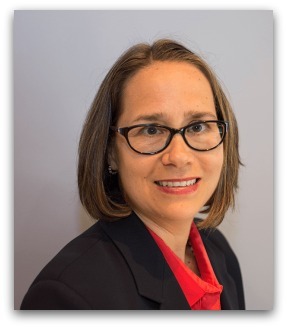 Victoria — a real estate attorney, member of Westport’s Zoning Board of Appeals, and mother of 3 young children — was told she would never walk again. Victoria is incredibly strong and tenacious. Buoyed by wonderful support from her husband Troy Burk and her kids — and a fantastic outpouring of energy, resources and funds from friends and strangers all across town — she made extraordinary progress. In a little over 3 months, Victoria was back at her seat on the ZBA. She was an inspiration to all. However, the cold weather is difficult. The family is moving to North Carolina. It’s a huge loss to our town. Last night, the ZBA surprised her. 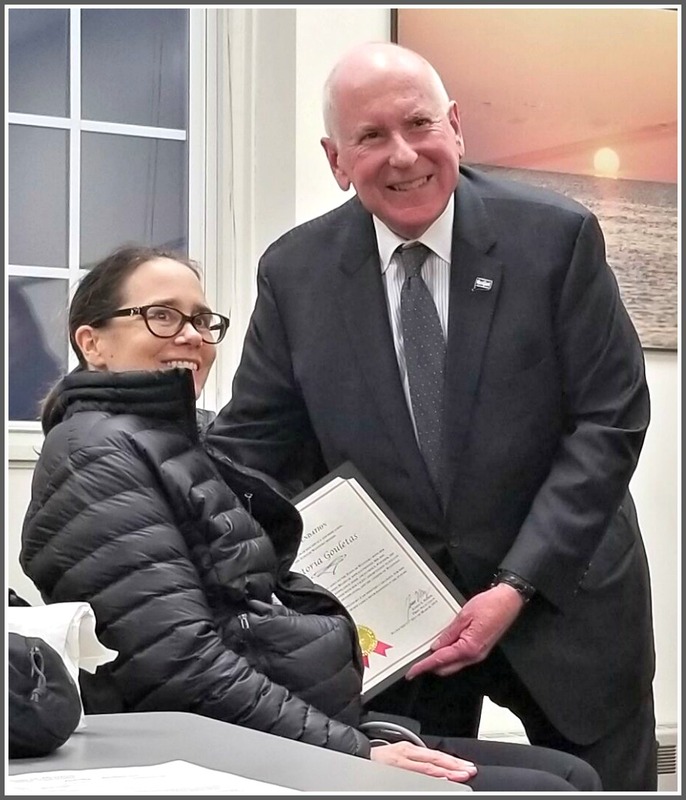 Congressman Jim Himes and Secretary of the State Denise Merrill sent letters of commendation, and First Selectman Jim Marpe was on hand to honor her for her service and courage. Westport has many unsung volunteers — including members of town boards and commissions. 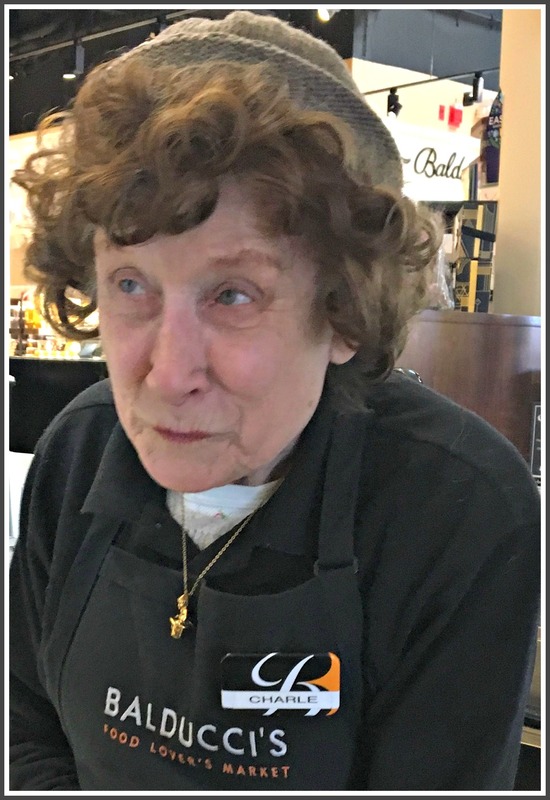 But it’s hard to find anyone — in government, or anywhere else — who better epitomizes dedication to the town, and the power of the human spirit, than Victoria Gouletas. Director/producer Laura Pendergast — a GFS parent — and teachers Ellen Hardy and Suzanne Sherman Propp have prepared for months for this week’s show. Dozens of school hours, plenty of work at home, and countless contributions from parent volunteers have gone into the production. A crucial full-cast rehearsal was scheduled for last Saturday. Then, disaster struck. 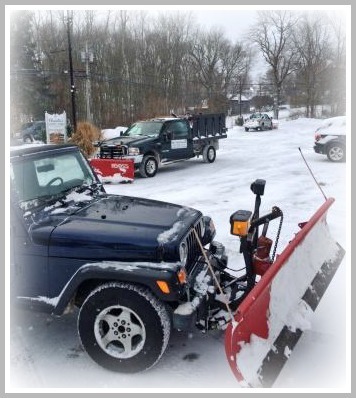 In anticipation of snow, all Westport school activities for that day were canceled. Finding space for 70 children seemed impossible. Realizing that Town Hall auditorium might be an option, GFS parent Danielle Dobin called 1st Selectman Jim Marpe. It was not available. But Marpe suggested she contact Greens Farms Congregational Church, and ask about using the Fellowship Hall. It was Friday evening. Danielle called Rev. Jeff Rider. She did not know him at all — they’d never met or spoken. He said he’d check the calendar. Soon, he said the space was free — and that GFS was more than welcome to use it. The location — smack in the middle of the Greens Farms neighborhood — was very convenient. The room was perfect. The cost was free. 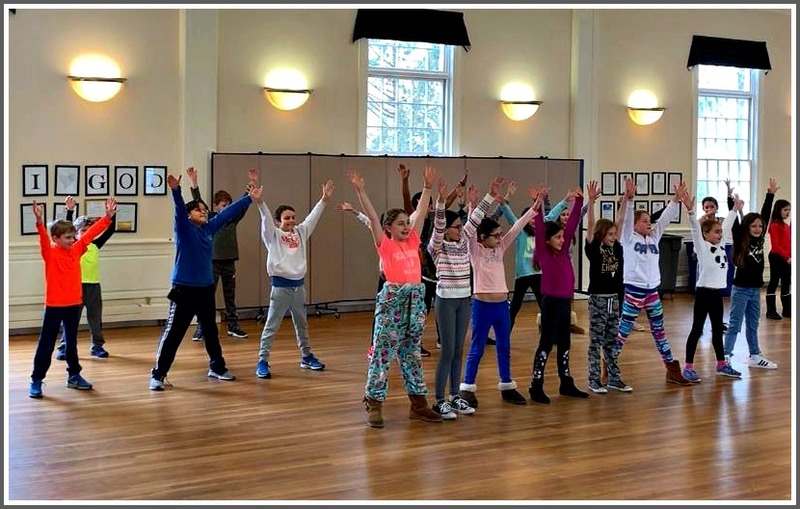 And on Monday — when Westport schools were closed because of the overnight storm — Greens Farms Church opened its doors again, for another rehearsal. 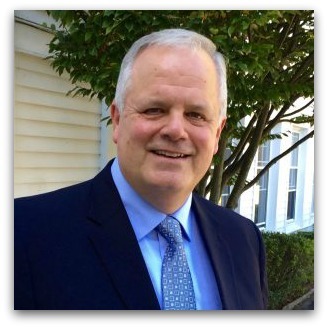 Speaking for the entire GFS community, and citing his flexibility and generosity, Danielle nominates Rev. Rider as “06880”‘s Unsung Hero this week. The show must go on: Rehearsing in the Greens Farms Church Fellowship Hall. Today’s Unsung Heroes might seem an unusual pick. This winter has been remarkably snow-free (knocking on every piece of wood I can find — especially for tonight). We’ve been hit with only a few flakes — and scarcely seen a plow. Westporters have a fraught relationship with our plow guys. We desperately need them, and a good, reliable one is solid gold. But we pay a lot for their services. As much as we like them, we sure don’t want to see them. A rare sight this winter. Think of it from their perspectives, though. This has been a winter of lost wages. So, for all the private plow guys: Hang in there. We hope you’re doing okay. And for the town and state employees, who do amazing (and thankless) work in every storm too: We’re glad you worked on other projects this winter! A few weeks ago we honored Vautrin Auto Service as our Unsung Hero. My daily read of “06880” helps me feel a little bit closer to the town I love. Last year, as you highlighted the closing of some of my favorite businesses — Crossroads Hardware, Christie’s Country Store, Commuter Cafe — I thought about my own shopping behavior, and how I could do more to support the remaining stores that are so vital to our community. Cooper’s Auto Parts in Westfair Center is at the top of my list. I hope you might adding them to your Unsung Hero list. Sandy, who runs the store, has uncanny ability to know exactly what part is needed for your. Then he takes the time to talk me through the installation process. When my daughter’s friend’s tail light went out, I went to Cooper’s to get a replacement bulb. Sandy immediately knew the halogen light needed for her 2007 Camry. He gave me a box so I wouldn’t touch the bulb, and explained to me how the oils on my hand could transfer to the bulb and crack it when we installed. On other occasions, he has come out of his shop to look at a windshield wiper, top off fluids, and help me remove bumper sticker residue (insisting on using his sample of Goo Gone Automotive rather than me buying a bottle). I am always surprised how many Westporters don’t know about Cooper’s, considering how long they’ve been serving Westporters. Thank you for considering this. Consider it done. 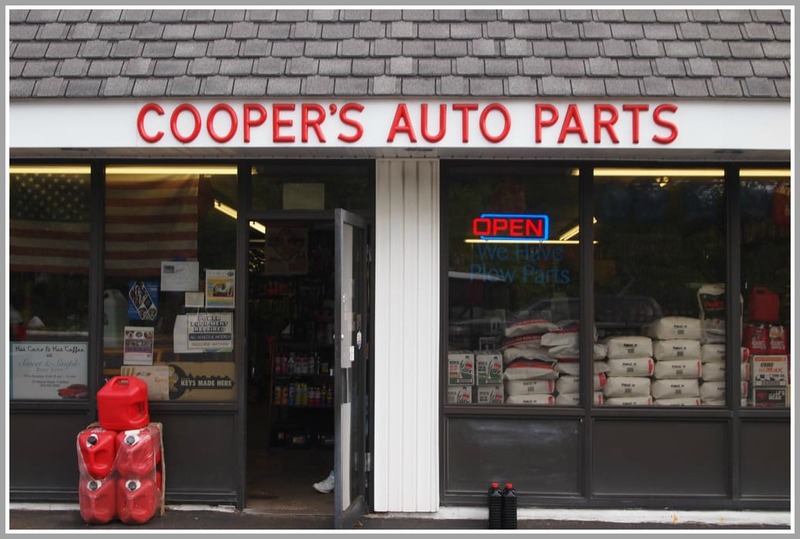 Cooper’s Auto Parts: You’re our Unsung Heroes of the Week! Yvonne O’Kane’s dog barked frantically at 1 a.m. last month. She woke up, looked in the back of her Old Hill area home for deer, then took him outside to do his duty. A few hours later, her husband went outside. Yvonne’s Mercedes convertible was gone. The police arrived within 3 minutes. 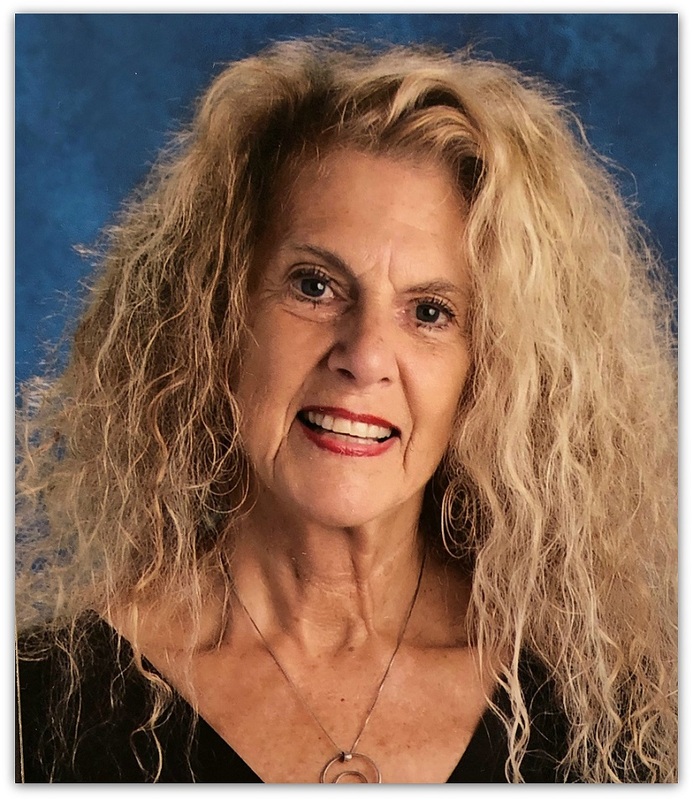 A great officer, Rachel Baron — “lovely, compassionate and professional” — took the information. She described the work of crime gangs in Waterbury and Newark. Because Yvonne’s checkbook and credit cards had been in the car, the officer told her to call her bank and card companies to freeze her accounts. That morning, Yvonne headed to the police station to provide more information. Detective Phil Restieri was “awesome,” she says. He already had information: Her car had crossed the George Washington Bridge at 4 a.m. Someone had tried to use her credit card at Starbucks and McDonald’s in Newark. He gave her more advice on how to handle her lost items, and deal with her insurance company. Phil told her that her car might be headed for a container ship. He was working with law enforcement contacts on the docks. “Everyone was already alerted,” Yvonne says. Phil was calm, and reassuring. “His diligence and confidence gave me confidence,” Yvonne says. After 3 weeks, Phil called. Yvonne’s car had been found, on the side of a Newark street. He explained that stolen cars are often left on roadsides — or moved from garage to garage — until an order comes in from operatives for that particular make or model. But Phil’s work was not done. He told Yvonne that he’d already arranged to have her vehicle towed to a safe place. Yvonne got Westport Center Services to bring the car back from New Jersey. They delivered it to a service center in Bridgeport. Yvonne was hesitant to go there at night. She worried there might be a weapon in the car. So — long after his shift was over — Phil met her in Bridgeport. 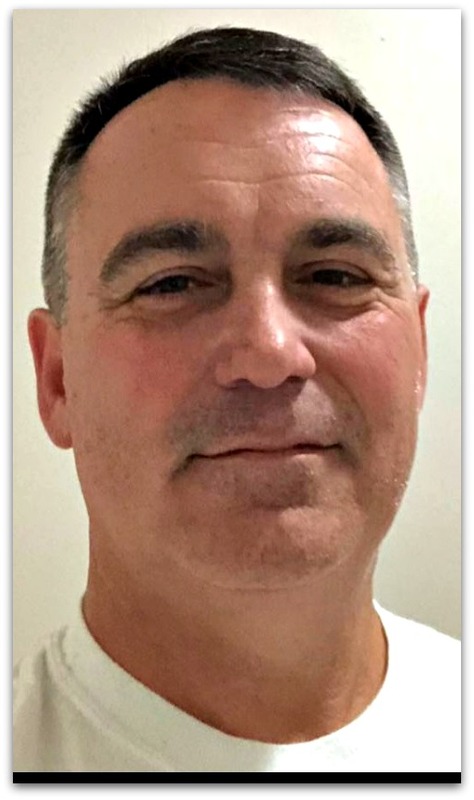 Phil Restieri — and all his colleagues at the Westport Police Department — are Yvonne O’Kane’s Unsung Heroes. But here’s the thing: This is the kind of thing they do all day, every day. We don’t hear about stories like this, unless they impact us. Or unless someone like Yvonne tells us. 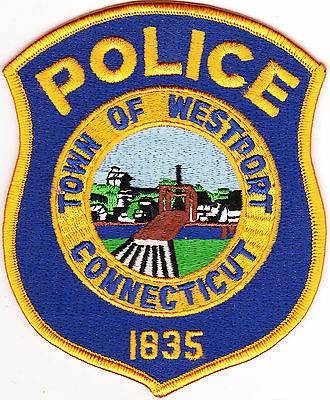 So: If you’ve got a Westport Police Unsung Heroes story to share, click “Comments” below.